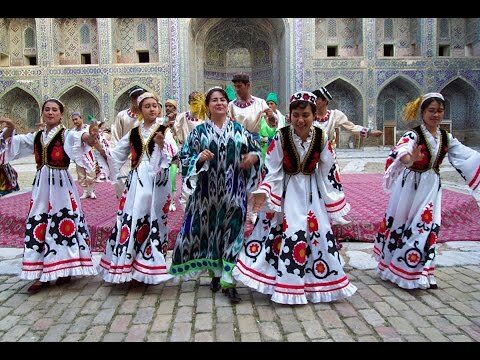 ITINERARY: Dushanbe – Khujand – Istaravshan – Ainy - Iskanderkul – Varzob - Dushanbe. Duration: 14 nights/15 days. According to flights one day can be reduced. Direct flight from Frankfurth to Dushanbe, meeting at the airport and transfer to hotel. Accommodation in hotel, dinner and rest. After breakfast transfer to airport. Flight by domestic lines to the northern part of Tajikistan Khujand city, meeting at the airport and transfer to hotel located at Syr-Darya river side. Accommodation in hotel, then excursion to the Timurmalik fortress (11-12cc) 100 m. far from the hotel. After the lunch visit to the ancient Orient bazaar "Panjshanbe" and Medresse Sheikh Muslehidin 14-15cc. and back to hotel. After breakfast drive by coach outside the city (15-20 km) and there we'll start by bike our trip to Istaravshan (former Uro-Tepa) 40-45 km. Lunch on the way. Overnight in “Sadbarg” hotel. After breakfast short excursion in very beautiful and old "Choykhona", Kuk-Gumbaz medresse, big bazaar, and then going outside for continuing bike tour to Shakhristan pass (3378 m) and then up to the start of pass. Overnight in tents or in private guest house. After breakfast, biking through Shakhristan pass (3370 m), there we shall enjoy the majestic panorama of all high peaks of the Fann Mountains. Lunch and then descent to mountainous village Iskodar. Overnight in tents or private guest house. After breakfast biking along mountain road to Urmetan. Overnight in tents or in private houses. After breakfast biking to mountain base camp Artouch. Overnight in base camp. Two days trekking in Fann Mountains, after breakfast walk to Chukurak lake and then ascent through Chukurak pass to Kuli-Kalon lakes. Overnight in tents. After breakfast till lunch time sightseeing around the lakes and then back to private house Artouch. Overnight in base camp. Drive by track or jeep through the mountainous road to Ainy village, from there we start biking up to Iskanderkul lake, this is very famous and legendary lake named after Great Alexander visit it. Overnight in tents near the lake side or in Base Camp Iskanderkul. Full day biking around the lake, back to base camp. Rest and overnight in tents. After breakfast drive by bus through Anzob pass (H-3373m. 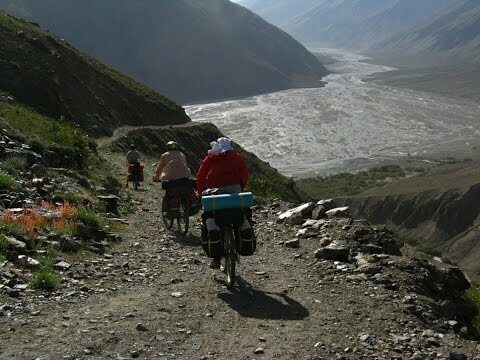 ), on the top of the pass we start biking along mountainous road until upper points of the pass (3373m.) 17 km. Lunch and then descent through the pass 18 km more. Overnight in tents or guest house at “Varzob gorge”. After breakfast biking up to Dushanbe (70 km) through Varzob gorge enjoying a very good nature. Accommodation in hotel "Avesto" in Dushanbe. Early in the morning (0:00 a.m.) transfer to Dushanbe Airport for flight back home. We wish You a pleasant home flight.